One of the things about eating seasonally that has always confused my tastebuds is the fact that citrus season is in winter. 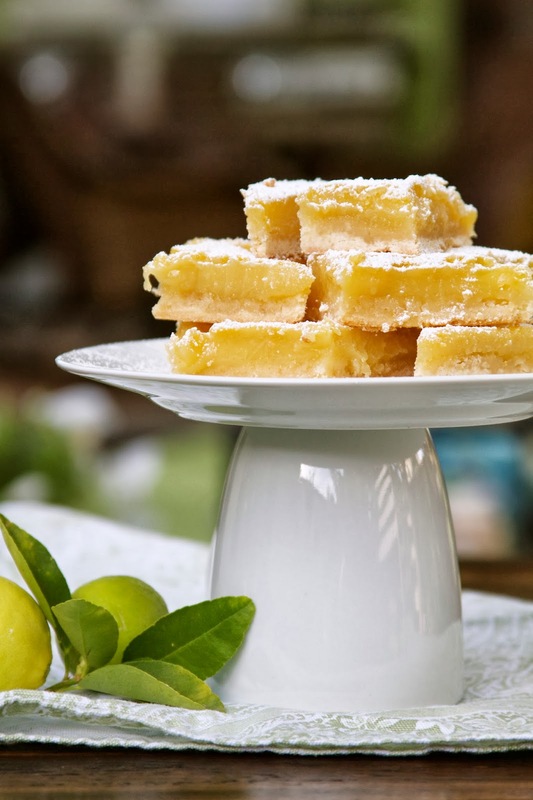 I mean, when you think of a tart, cold glass of lemonade, you think of summertime, not the dead of winter when lemons are ripe for the picking! I’ve given this some thought, and perhaps this is Mother Nature’s way of perking up our palates after a long season of pumpkins, apples and winter squash. Over the past two years we have planted a few dwarf citrus trees in our backyard: Eureka lemon, Meyer lemon, blood orange and a key lime tree. They are still young at this point and I cannot wait until they are all bearing fruit! 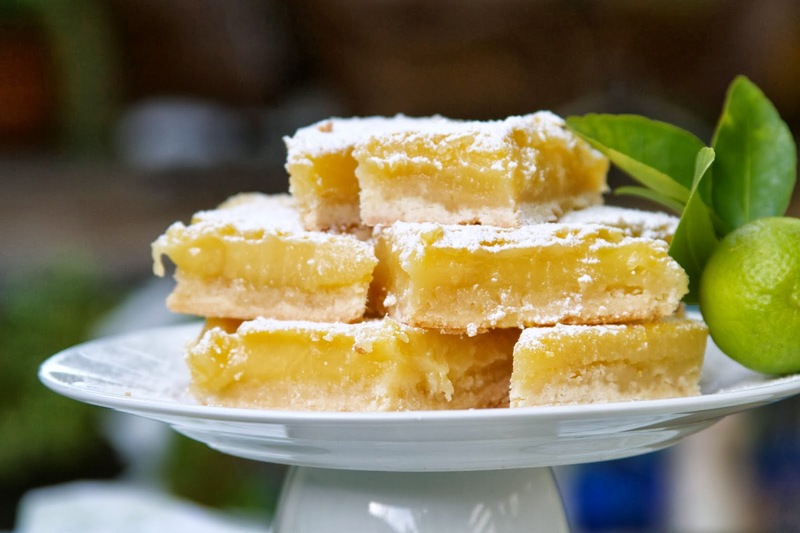 I’ve had this Barefoot Contessa recipe for Lemon Bars on my Pinterest board for months, just waiting for that glorious day when the Meyer lemons on my little tree finally ripen (likely some time in December). But, it so happened that the key limes ripened first, and boy are they wonderful! They are super juicy and subtly sweeter than conventional limes. They are also pretty large compared to the key limes I usually find at the grocery store–these are almost the size of medium-sized lemons. So, since life gave us key limes and not lemons, I decided to see if I could use limes in the recipe instead and it worked! Key Limes from our tree! Now, I realize that in a world of pumpkin-spiced everything, I am a lone voice calling in the desert beseeching you to make a tart, citrus dessert. Even though it may seem counterintuitive, this is seasonal eating at its best and I hope you’ll take advantage of this amazingly delicious fruit while it’s in season! There are two components to this dish: a pastry crust and a lime-custard filling. 1. Preheat the oven to 350 degrees. 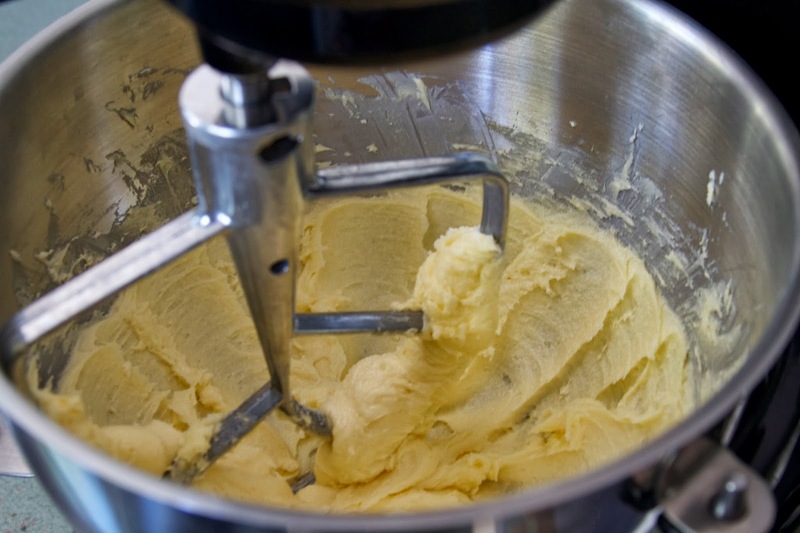 First cream the butter and the sugar in the bowl of an electric mixer. 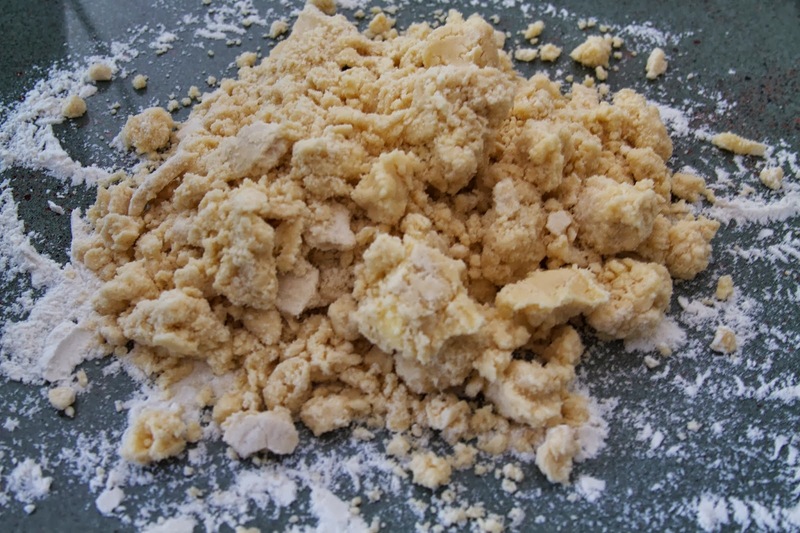 The resulting mixture should be creamy and an even light yellow color. Add the 2 cups of flour to the butter and sugar mixture and mix until just combined. The mixture will be crumbly. 2. Dump the mixture onto a floured board or clean countertop. Press the mixture into a ball with your hands and then flatten into a 9x13x2 baking dish. 3. 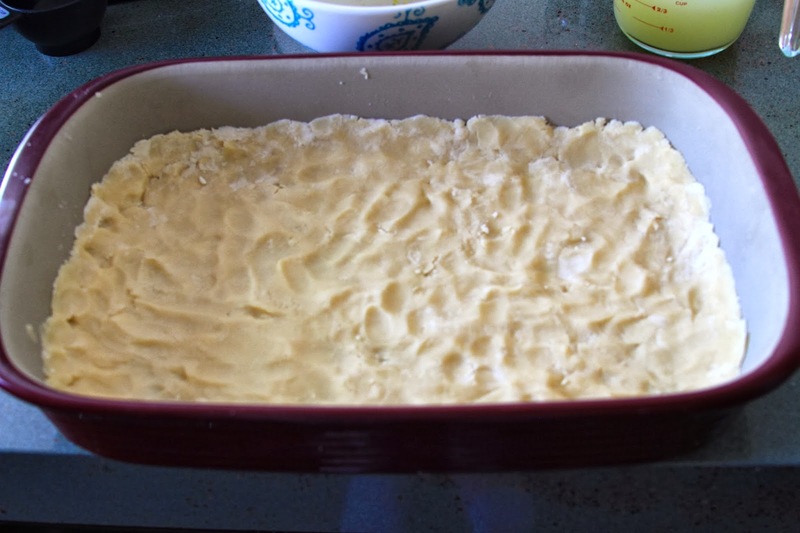 As you press the crust into the baking pan, push the dough up the sides about 1/2″. Chill in the refrigerator for 30 minutes before baking. Bake for 15-20 minutes until the crust is light golden brown. Remove the pan from the oven and allow it to cool on a rack for about 30 minutes. Leave the oven on. 4. 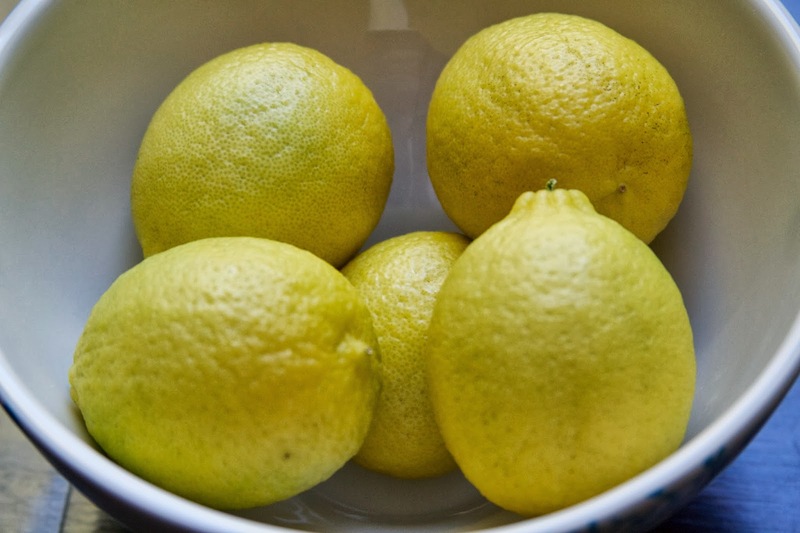 In a mixer or a mixing bowl, whisk together the eggs, lime juice, zest and sugar. Slowly add the flour and whisk until fully incorporated. Pour into the previously baked crust and place into the oven. Bake for 30-35 minutes until the mixture has set. I checked the pan at 30 minutes found that the middle was a little jiggly. An additional 5 minutes did the trick. 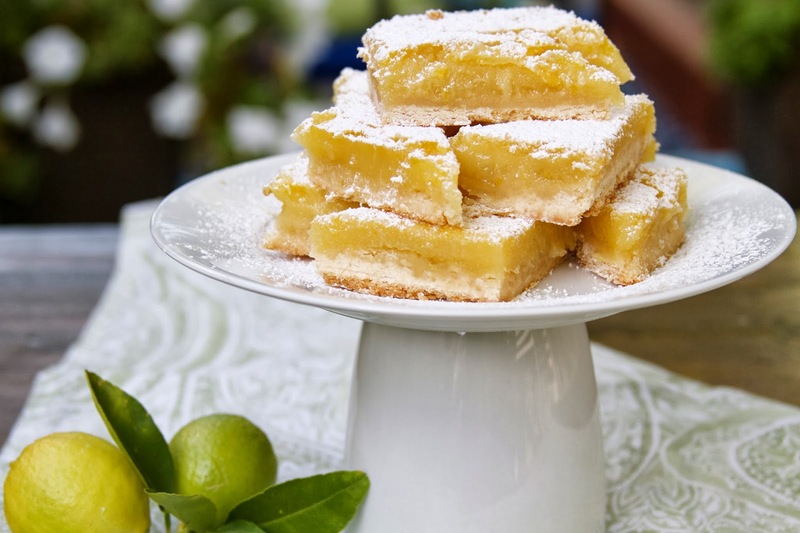 Allow the key lime bars to cool to room temperature before cutting into squares or triangles. KitchenAid Mixer courtesy of my fabulous neighbor and recipe-tester, Kim! Thanks Kim!